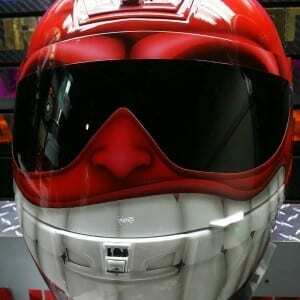 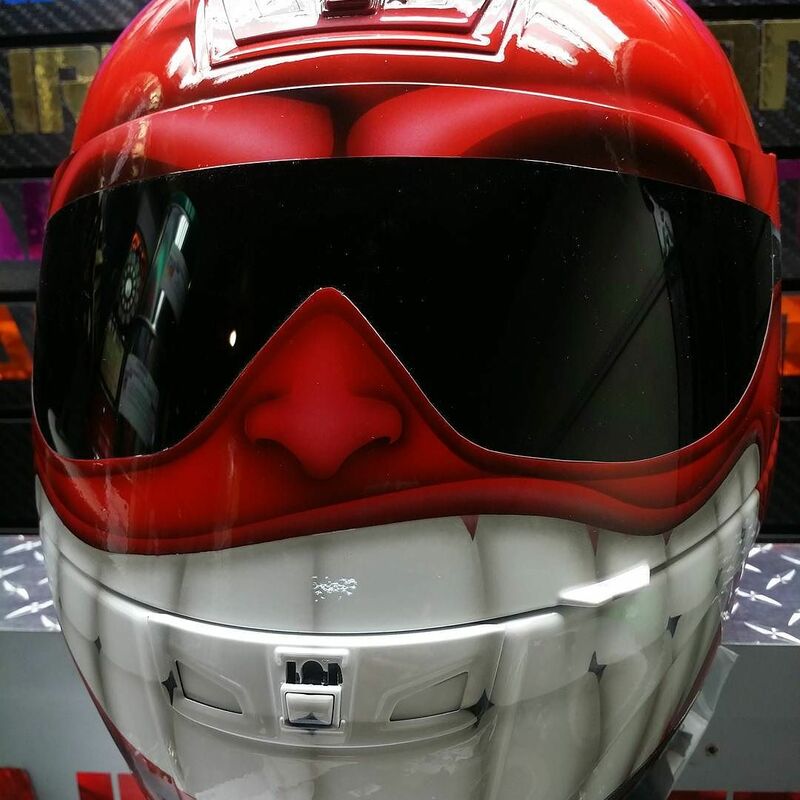 What is the first thing that comes to mind when you see a helmet like this on the street!? 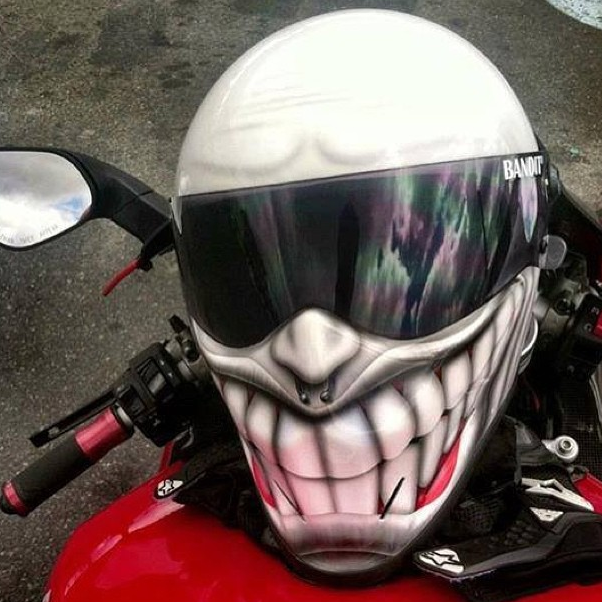 That’s one happy biker right? That’s what I think anyways. 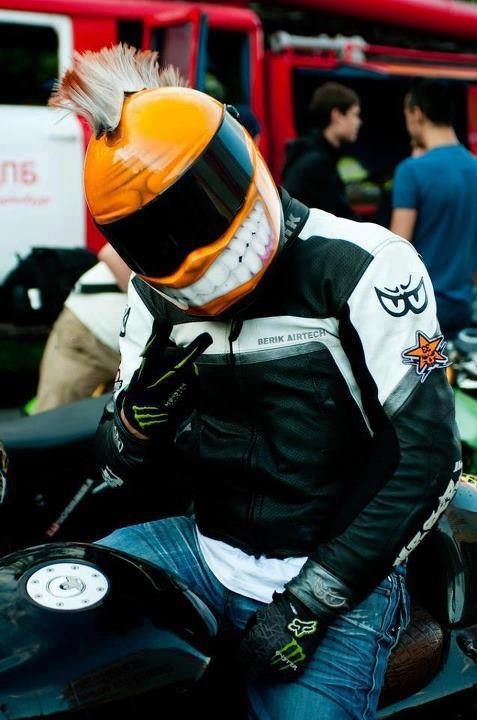 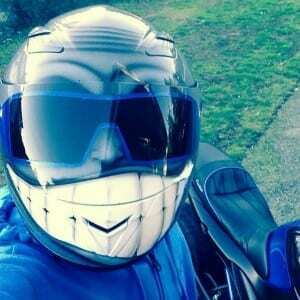 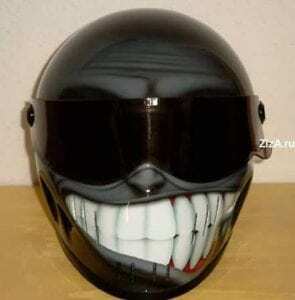 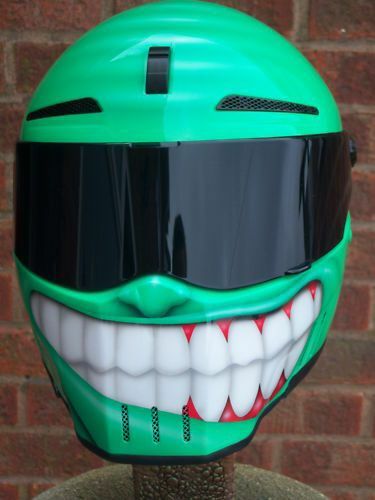 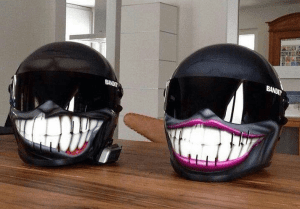 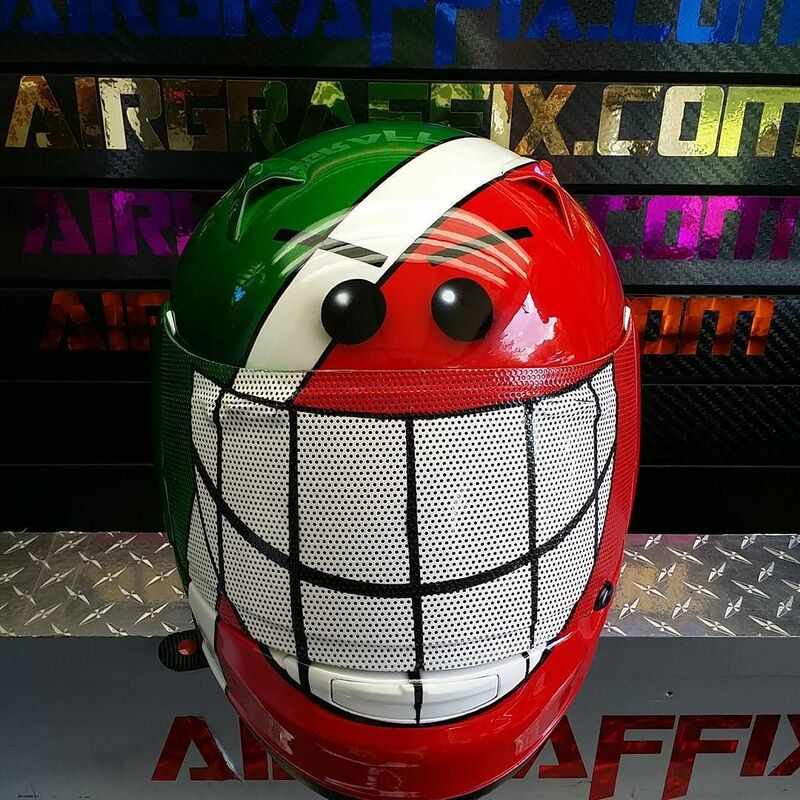 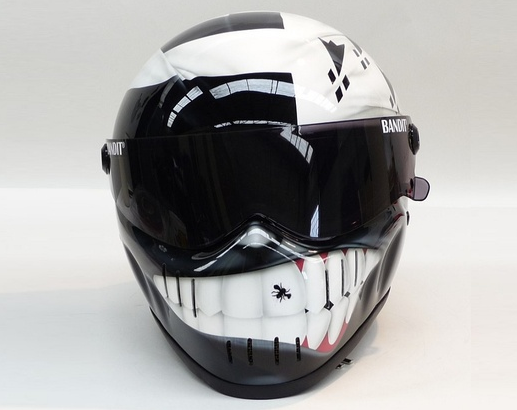 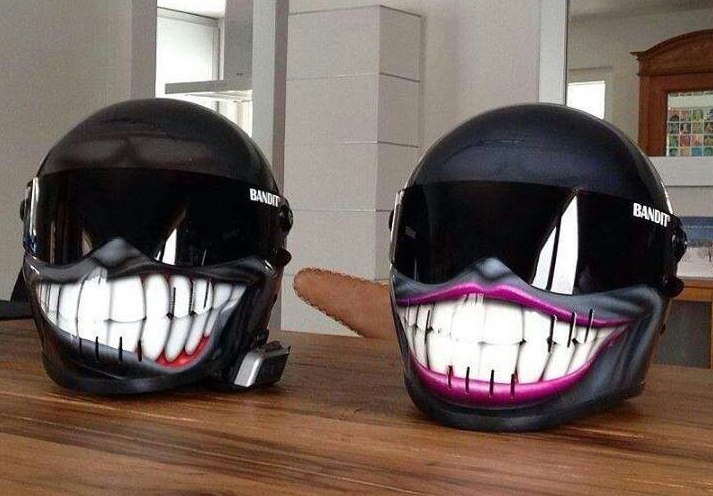 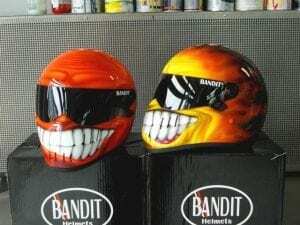 It’s hard not to crack a little smile at a smiley motorcycle helmet. Making one for yourself – however – takes a little more than a smile. 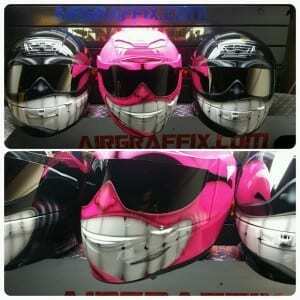 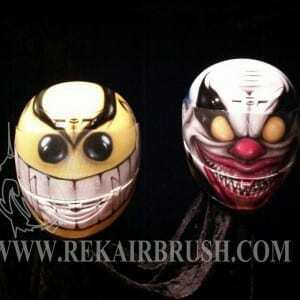 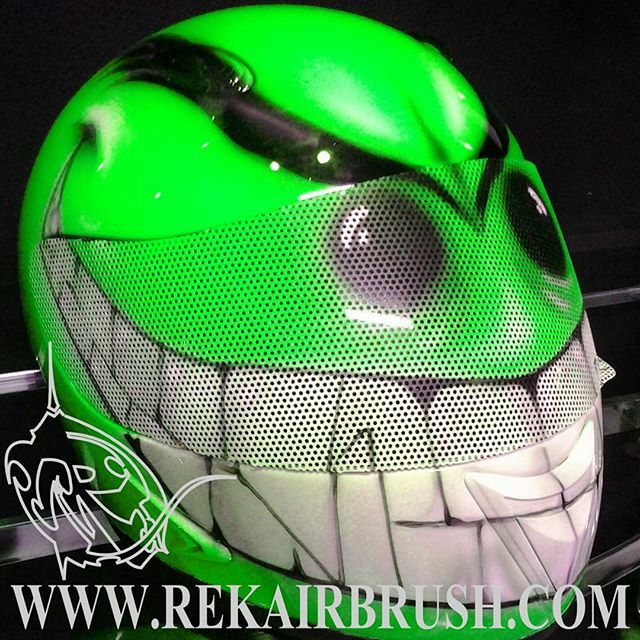 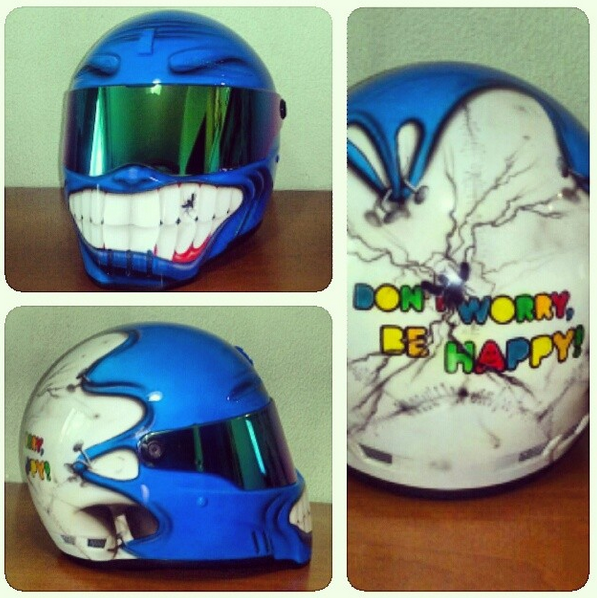 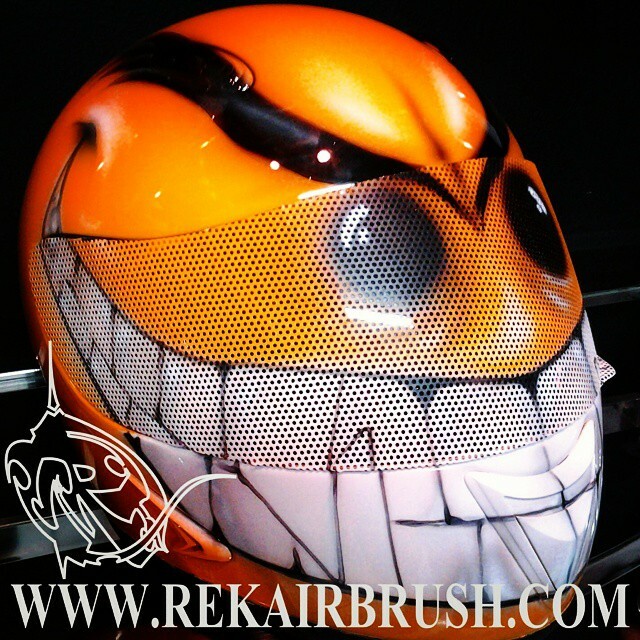 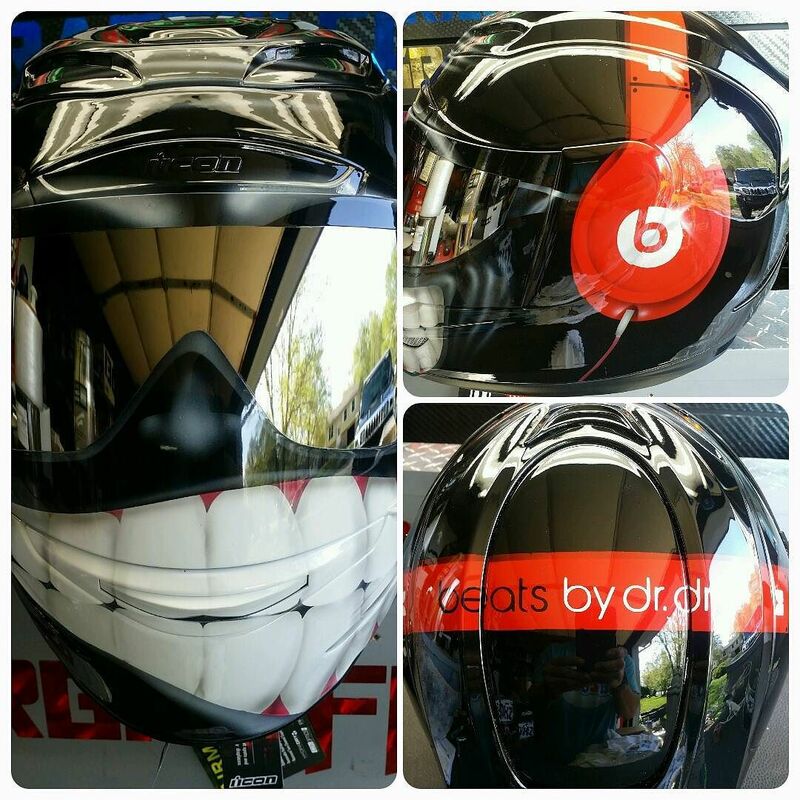 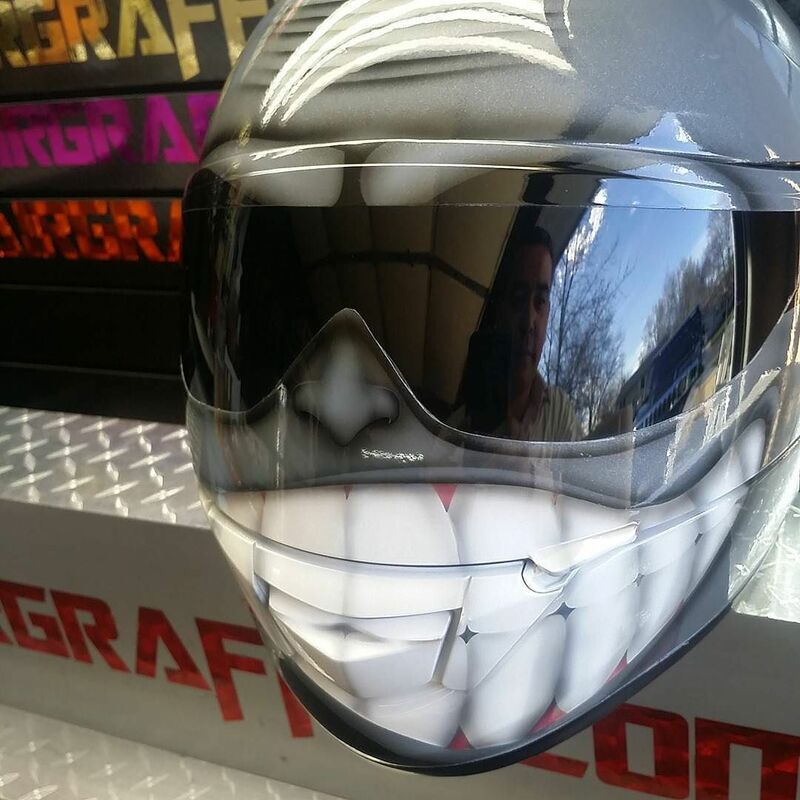 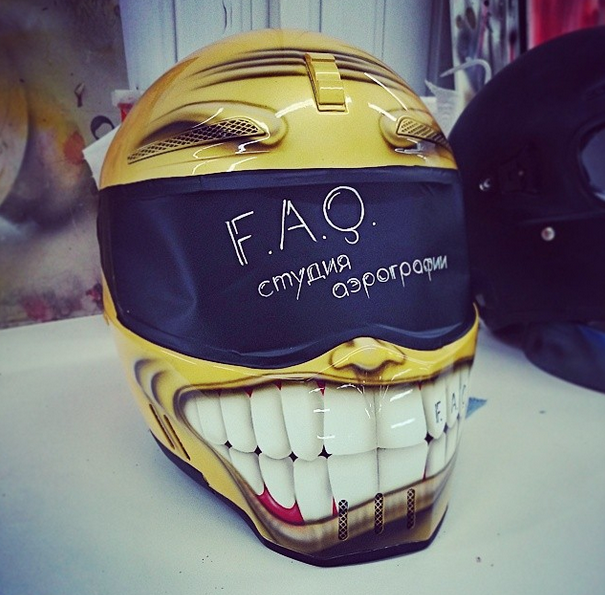 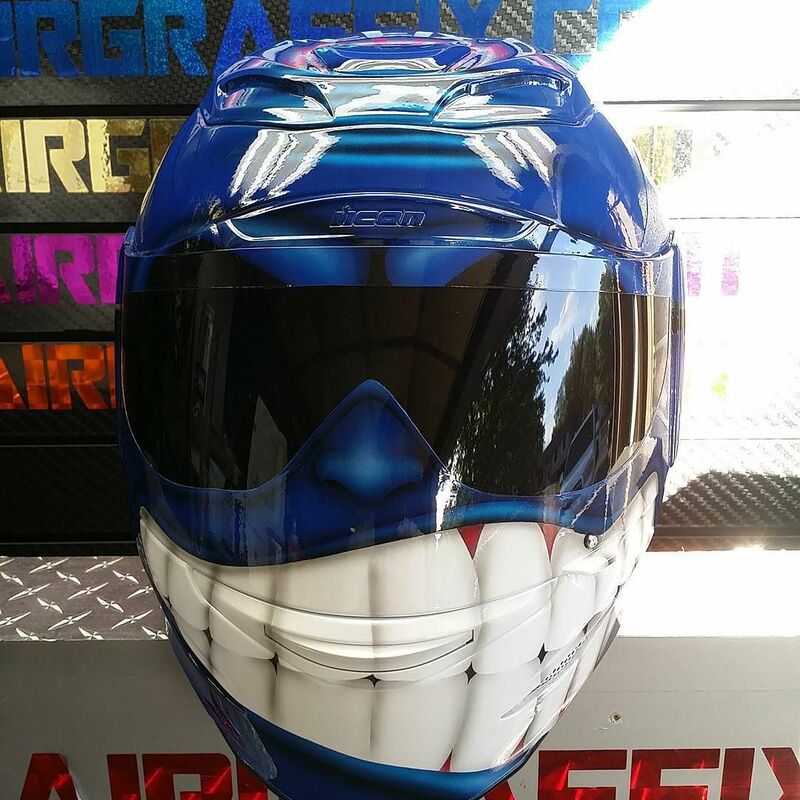 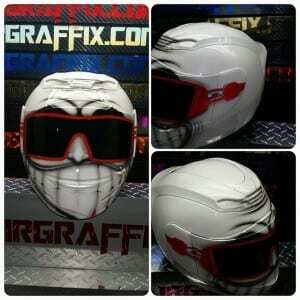 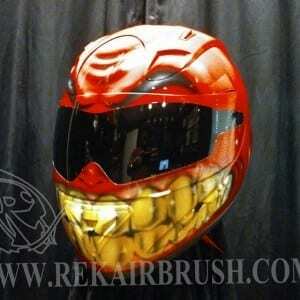 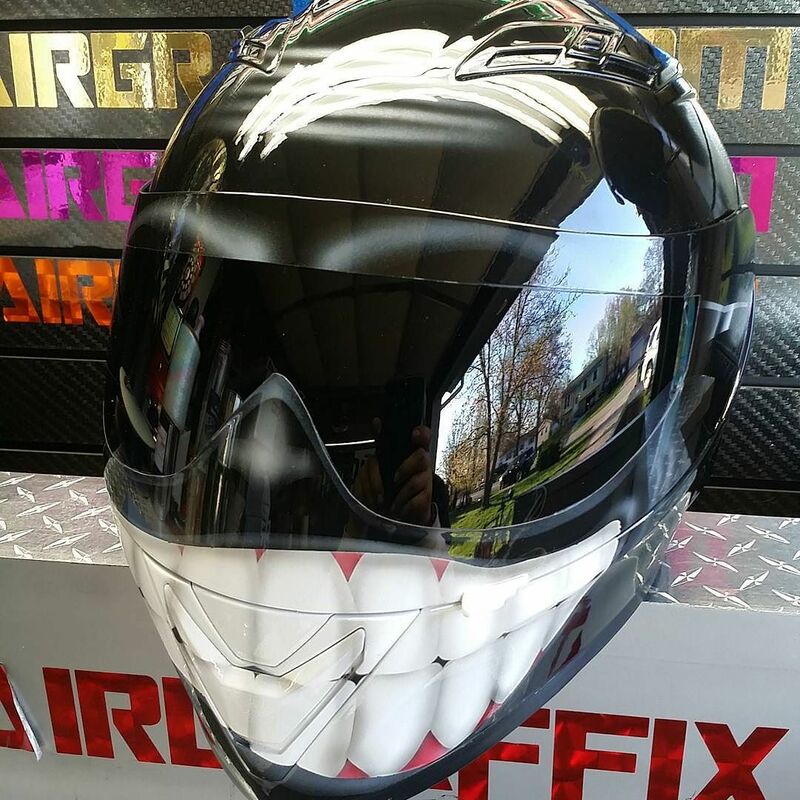 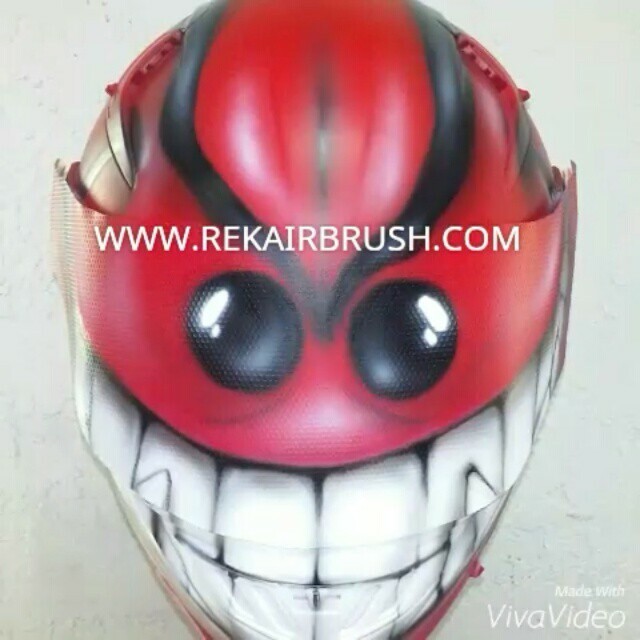 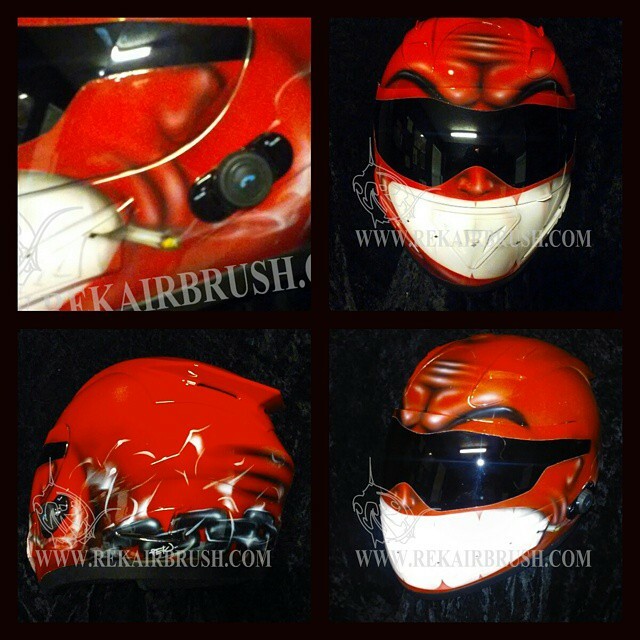 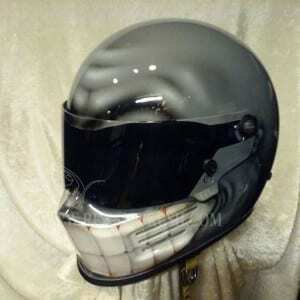 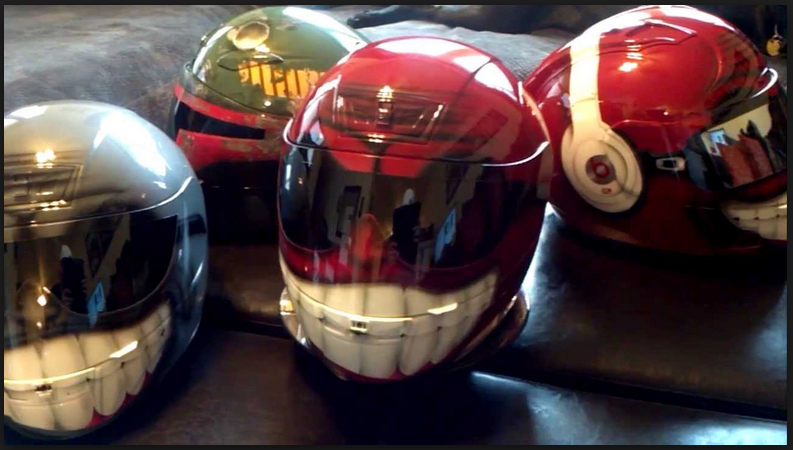 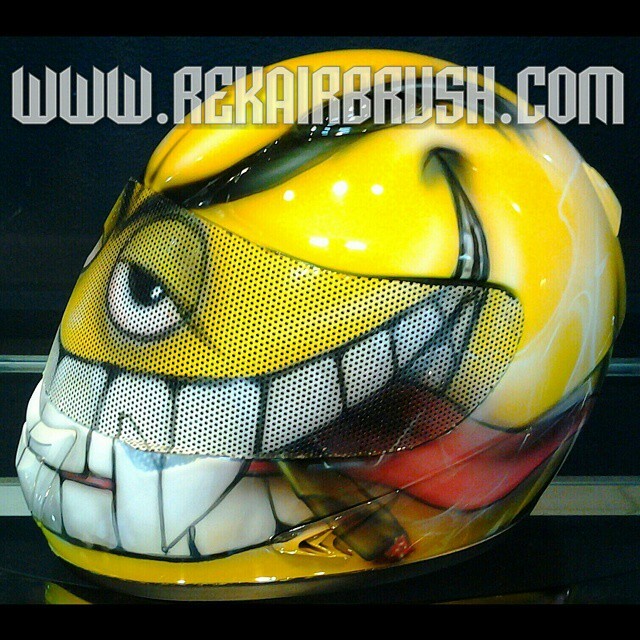 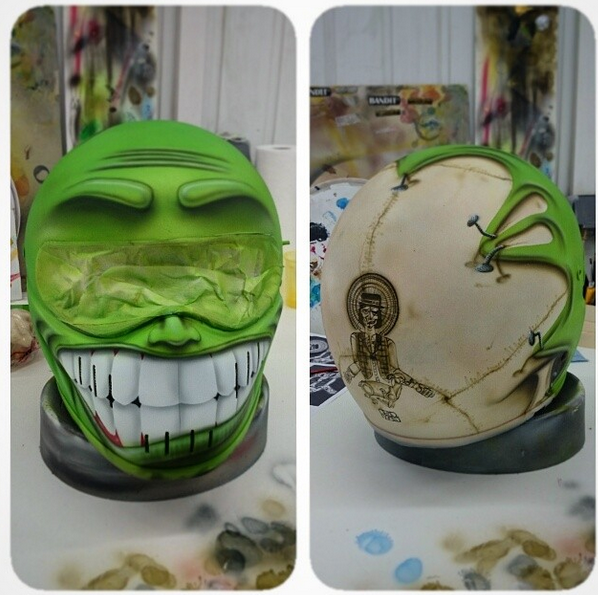 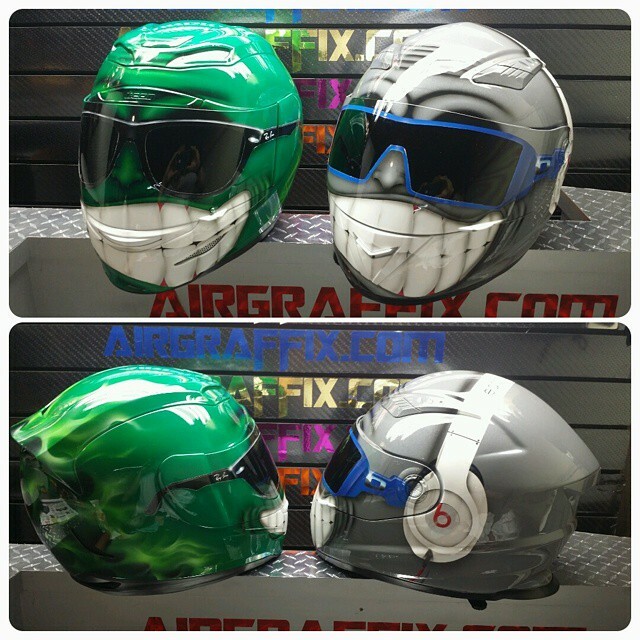 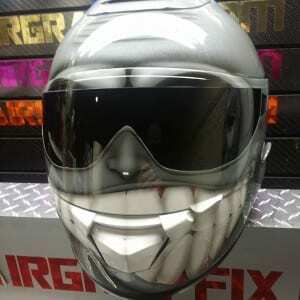 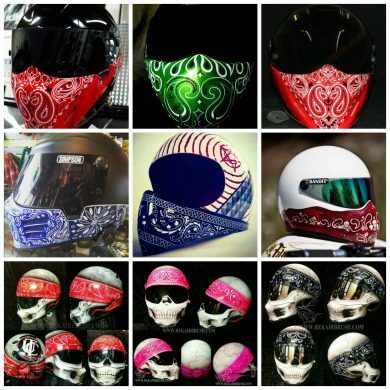 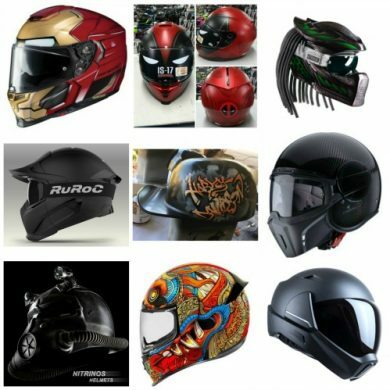 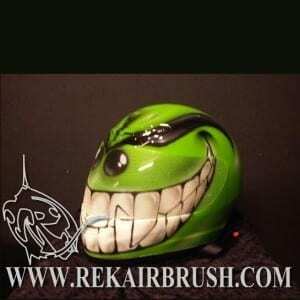 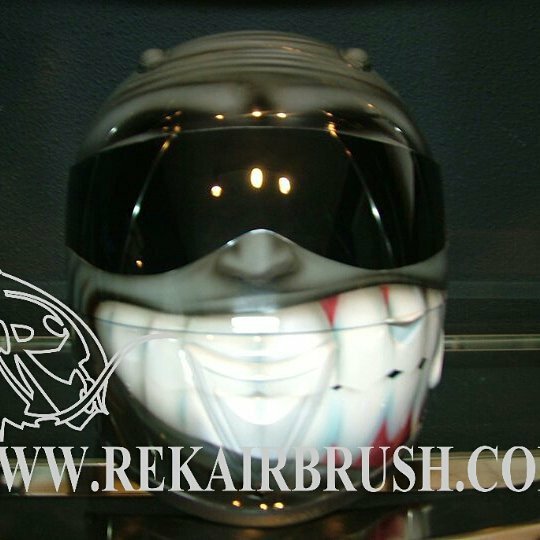 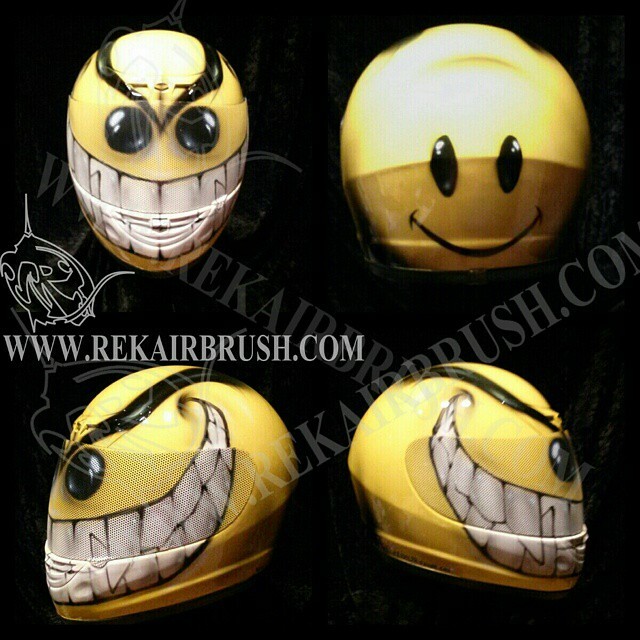 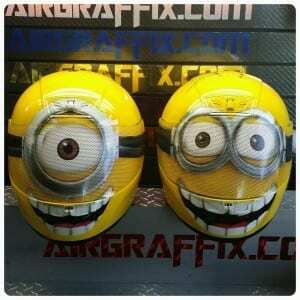 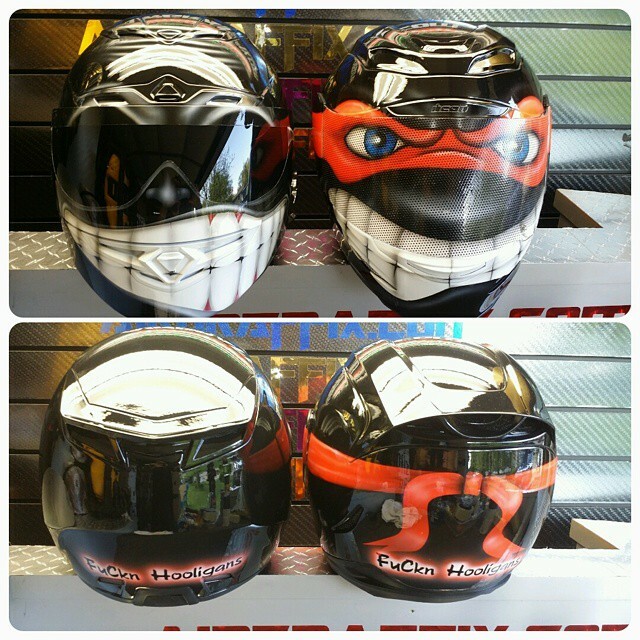 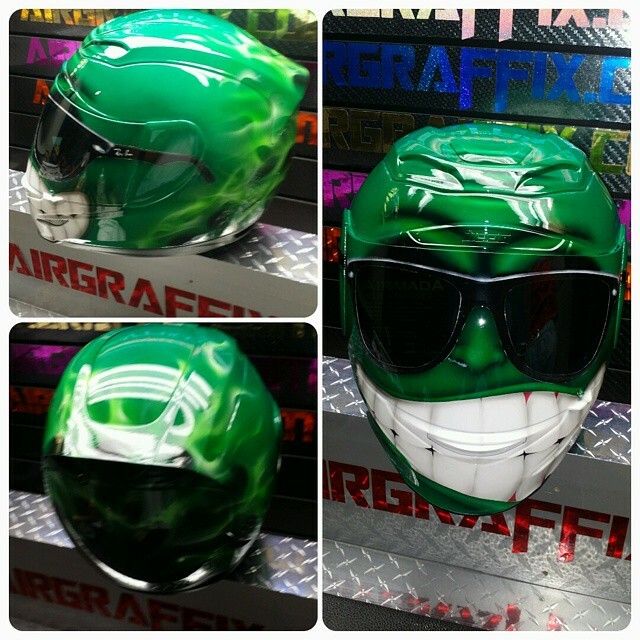 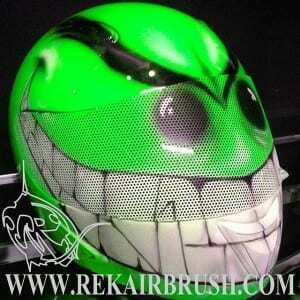 Custom airbrushing a motorcycle helmet is a bit of an art form in itself. 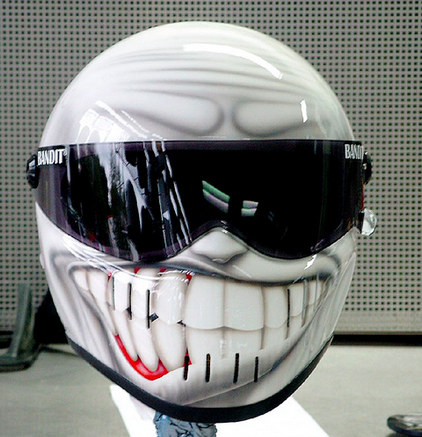 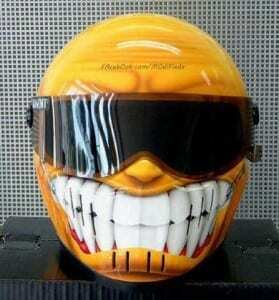 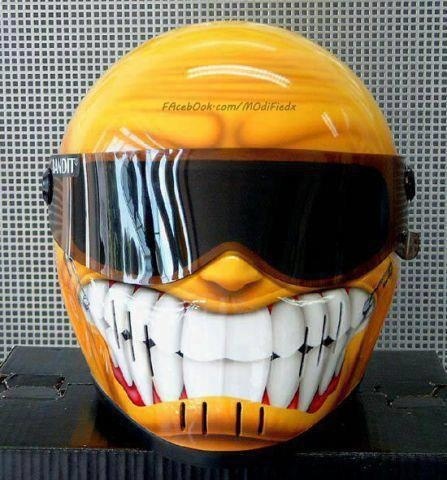 Combined with a smiley face and clear visor – it can be a bit of a challenge. The Simpson Bandit is a pretty popular helmet for this design, and the mohawks can be found over in the helmet accessories. 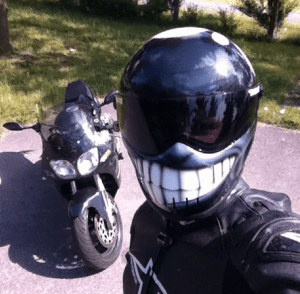 So the best way to learn anything is to just get started. Reading a book (or blog) about painting is one thing, picking up an airbrush is something totally different. 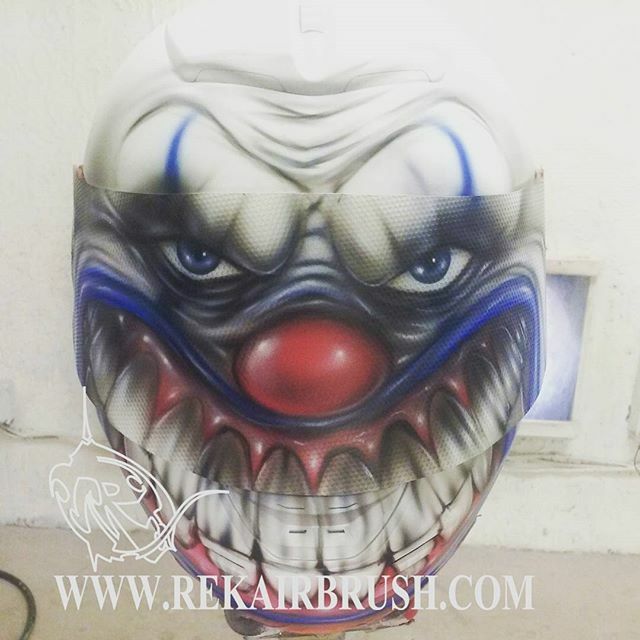 Pick up your own airbrush kit and get started.